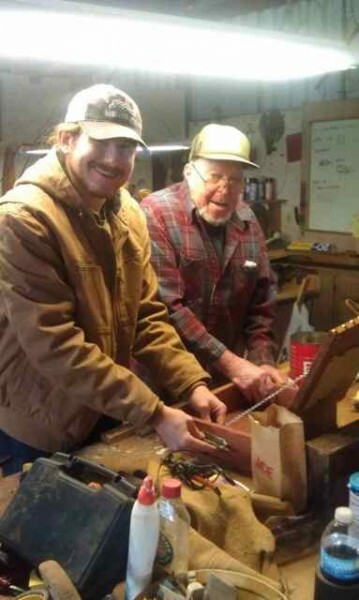 As I talk about in my “About Me” page, my grandpa Chuck was a wood shop teacher. Since he passed I’ve inherited the wood shop and have been creating projects that represent the rustic style he loved so much. 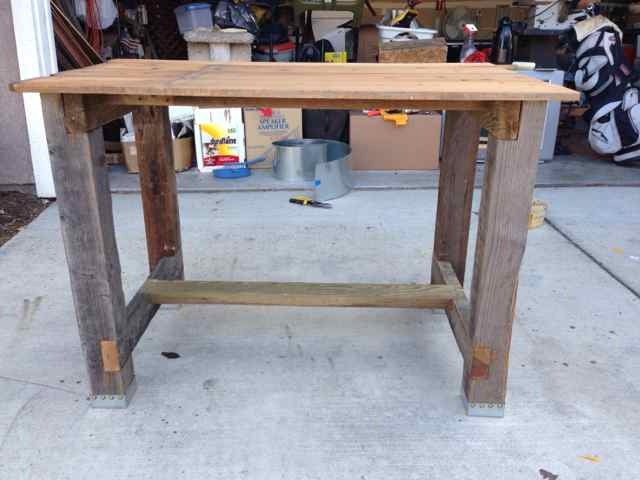 Here is a desk I made out of recycled fence material. 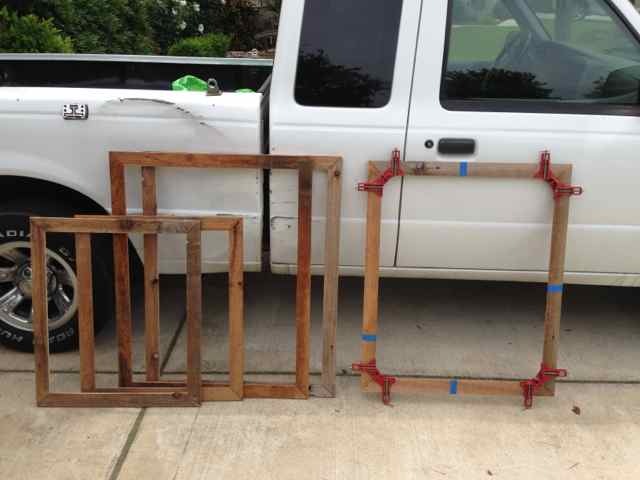 These picture frames are made of recycled Cedar and Redwood fence pickets and are made just as Grandpa taught me. As I also mention in my “About Me” I also have a background in visual art. 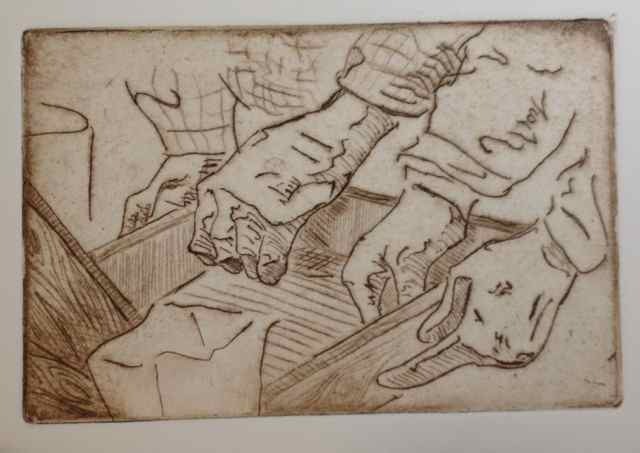 Recently I tried my first attempt at intaglio printmaking. I used the image above of my Grandpa and I as reference. For my first print in this style I am pretty pleased with the results! This entry was posted in Uncategorized by Jeff Anderson. Bookmark the permalink. I think that it is amazing the way you honor your grandfather and keep his legacy alive.